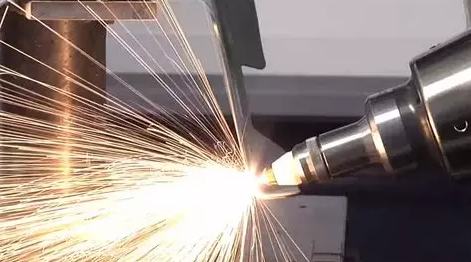 With the development of science and technology, there are more and more cutting methods, such as laser cutting, waterjet cutting, plasma cutting, wire cutting, etc. What’s the difference? First, let’s dive into the explanation of each cutting methods. Laser cutting is to make the irradiated material melt, vaporize, ablate or reach the ignition point by irradiating the workpiece with the focused high power density laser beam, and at the same time remove the molten material by means of the high-speed airstream coaxial with the light beam, so as to realize the cutting of the workpiece. Now CO2 pulsed laser and fiber laser are commonly used. 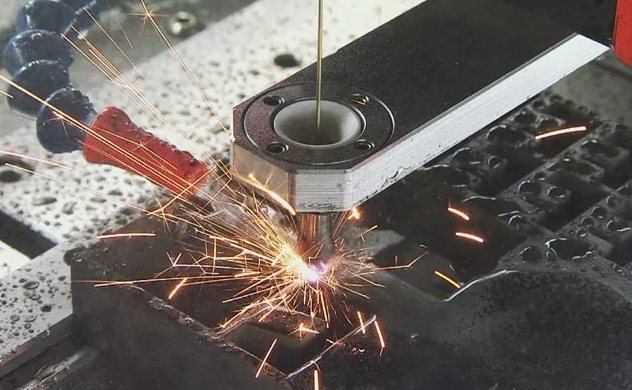 Laser cutting is one of the thermal cutting methods. Water cutting, also known as water knife, is a cutting machine which makes use of high-pressure water flow to realize the purpose of cutting. Under the control of the computer, it can carve the workpiece at will, and material quality is less affected. Water cutting is divided into two ways: no sand cutting and sand cutting. 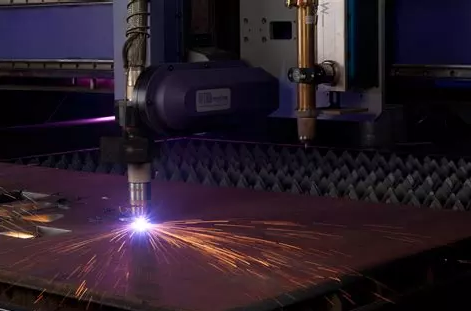 Plasma arc cutting is a processing method which utilizes the heat of high-temperature plasma arc to melt (and vaporize) the metal at the cutting edge of the workpiece and the momentum of high-speed plasma is used to eliminate the molten metal to form an incision. Wire Electrical Discharge Machining, for short WEDM belong to electrical processing category, Wire Cut Electrical Discharge Machining sometimes referred to as wire cut. Wire cutting can be divided into fast wire cutting, medium wire cutting and slow wire cutting. The wire traveling speed of fast WEDM wire cutting is 6 ~ 12 m/s. The wire travels back and forth at high speed with poor cutting accuracy. The medium WEDM wire cutting, which is one new technique in recent years, realize frequency multiple cutting functions based on fast WEDM wire cutting. The wire traveling speed of slow WEDM wire cutting is 0.2m/s. The electrode wire moves in low speed and unidirectional, and the cutting precision is very high. In the following part, we will make a detailed comparison of the above-mentioned cutting methods. Laser cutting machine has a wide range of applications, whether metal, non-metal can be cut. Cutting nonmetals such as cloth and leather can be done with a CO2 laser cutter. Cutting metal can be used fiber laser cutting machine since the plate deformation is small. Water cutting belongs to cold cutting without hot deformation, with good cutting surface quality and no need for secondary machining. It is also easy to reprocess if needed. Water cutting can punch and cut any material with fast cutting speed and flexible processing sizes. Plasma cutting machine can be used for cutting stainless steel, aluminum, copper, cast iron, carbon steel and other metal materials. Plasma cutting has an obvious thermal effect, low precision, the cutting surface is not easy to re-processing. Wire cutting can only be used to cut conducting material. The cutting process needs to have cutting coolant. Therefore, the materials like paper, leather which do not conduct electricity, afraid of water and cutting coolant pollution cannot be cut. The application of laser cutting carbon steel in the industry is generally under 20MM. The cutting capacity is generally below 40MM. The application in cutting stainless steel is generally below 16MM and the cutting capacity is generally below 25MM. And the cutting speed decreases obviously with the increase of workpiece thickness. The waterjet cutting is able to cut materials in 0.8-100mm, and some thicker materials. The cutting thickness of plasma cutter is in the range of 0-120mm. The plasma cutter which is able to cut metal in 20mm thickness has the highest cost performance. Wire cutting thickness is generally 40 ~ 60 mm, the thickest can reach 600 mm. If cut 2mm thick mild steel plate with a laser power of 1200W and the cutting speed is up to 600cm/min. If cut the polypropylene resin plate with a thickness of 5mm and the cutting speed can reach 1200cm/min. The efficiency of EDM wire cutting is generally 20 ~ 60 mm2/min, with a maximum of 300 mm2/min. Obviously, laser cutting is fast and can be used in mass production. Water cutting speed is rather slow and not suitable for mass production. The cutting speed of plasma cutting is slow and relatively low precision, which is more suitable for cutting thick plates, but the end face has the slope. For metal processing, wire cutting has higher precision, but the speed is slow. Sometimes it is necessary to use other methods to perforate and thread to cut, and the cutting size is very limited. The laser cutting incision is narrow and the two sides of the slit are parallel and perpendicular to the surface. The size accuracy of the cutting part can reach ±0.2mm. The precision of plasma cutting can reach less than 1mm. 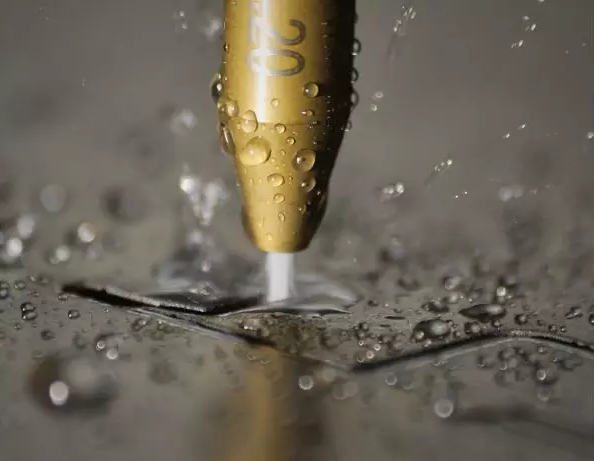 Water cutting will not produce thermal deformation, with precision ±0.1mm. If the dynamic water cutting machine is used, the cutting precision can be improved, and the cutting precision can be up to 0.02mm. Besides, the cutting slope will be eliminated. The precision of wire cutting is generally ±0.01 ~ ±0.02 mm, up to ±0.004 mm. Laser cutting is more precise than plasma cutting, with small slits at about 0.5mm. 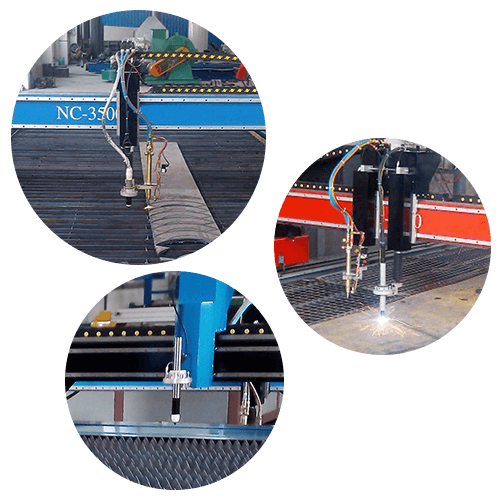 The cutting slot of plasma cutting is larger than laser cutting, about 1-2mm. The water-cut slit is about 10% larger than the diameter of the cutter tube, generally 0.8mm-1.2mm. As the diameter of the sand cutter tube is expanded, the incision is larger. The width of the slit for wire cutting is the smallest, usually around 0.1-0.2mm. 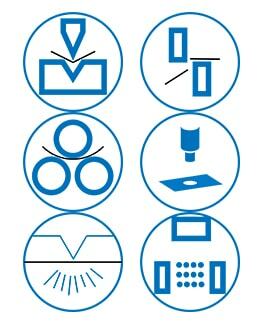 The surface precision roughness of laser cutting is not as good as water cutting, and the thicker the material is more obvious. The laser cutter for different purposes has a different price. The cheaper one, such as CO2 laser cutter, will only cost around 4000USD. 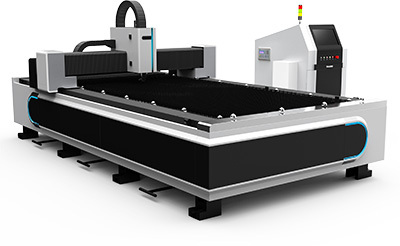 The higher cost one, such as 1000W fiber laser cutter will cost above 50000USD. Laser cutting has no consumables, but the cost of equipment investment is the highest among all cutting methods. The maintenance costs are also quite high. Plasma cutters are much cheaper than laser cutters. According to the power of the plasma cutting machine, brand, etc., prices are different. The use cost is high, basically as long as the material conduct electricity, then it can be cut. The cost of waterjet cutting equipment is second only to laser cutting, with high energy consumption and maintenance cost. The cutting speed is not as fast as plasma. Because all the abrasive are disposable, once used to discharge into nature. Therefore, the environmental pollution is relatively serious. The cost of wire cutting is generally around several thousands of dollars. However, wire cutting has consumables, such as molybdenum wire, cutting coolant and so on. There are two commonly used wire: one is molybdenum wire (very expensive) which is used for rapid wire moving equipment. The advantage is the molybdenum wire can be reused many times; the other one is the copper wire which is used for slow wire moving equipment. The disadvantage is the copper wire can only be used for one time. Besides, the fast WEDM machine is 5-6 times cheaper than the slow WEDM machine.